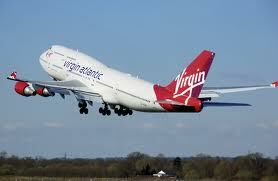 Virgin Atlantic is to relaunch flights to Mumbai, with a daily service from Heathrow starting in October. Virgin dropped its Mumbai route in 2009 amid falling demand and aggressive pricing from rivals. Since then the route has grown in demand to become Heathrow’s 12th busiest route, carrying over one million passengers per year. The Heathrow to Mumbai route is already served by British Airways and Air India (with Bmi codesharing on the Indian airlines' service). Troubled carrier Kingfisher Airlines also operates on the route, but is expected to drop the service in April as it “curtails” its long-haul services. Virgin currently codeshares on the route with Jet Airways but it is unclear how this agreement will be affected by this announcement. The reinstated Heathrow-Mumbai service will operate from October 28 using Virgin’s newest A330 aircraft, featuring 185 economy seats, 45 in premium economy, and 33 of the carrier's new Upper Class ‘Dreamsuites’, which are set to be unveiled on its London-New York route this spring. Flights will depart London Heathrow at 10:15 arriving into Mumbai at 00:55 on the next day. The return flights depart at 03:10, arriving into London at 07:55. The aircraft is also fitted with Panasonic’s latest in-flight entertainment system which is operated by touchscreen technology, allowing passengers to scroll through over 300 hours of content. Virgin Atlantic chief executive Steve Ridgway said, “Virgin Atlantic is proud to be flying to Mumbai again, linking this wonderful city to our key destinations of London, New York, Boston, Washington and Chicago.